On this day in 1922, WOAI-San Antonio, the first radio station in South Texas, began broadcasting. The station, founded by G. A. C. Halff, had an initial power of 500 watts. It grew to 5,000 watts by 1925–considered powerful at that time. On February 6, 1928, WOAI joined the world’s first communication network, the National Broadcasting Company. It eventually became a clear channel operating with 50,000 watts. 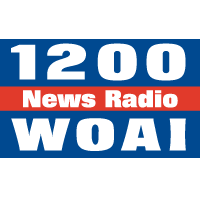 WOAI was one of the first stations to employ a local news staff. One of its greatest achievements was a regular Sunday broadcast of “Musical Interpretations,” featuring Max Reiter, conductor of the San Antonio Symphony Orchestra.